January 31, 2017 Films2017 Furry Con, ANE 2017, Anthro, Anthro Animals, Anthro Dog, Anthro Husky, Anthro New England, Anthro New England 2017, Anthropomorphic Animals, Con, Cop Dog, Cops, Crime Thriller, David Fincher, Detective, Detective Movie, Dog On It, Dog On It Furry Movie, Equus21, Furry, Furry Convention, Furry Dance, Furry Movie, Furry Rave, Furry Short Film, Fursona, Fursuit, Independent Movie, K-9 Unit, K9 Unit, Leonard Keaton, Murder, Police Dog, Psychological Thriller, Scary, Short Film, Taken 2008, ThrillerAaron B. PLOT: After finding the murdered body of a husky, Leonard is sent to find the killer with deadly consequences…. I wanted to make my Leonard movies a trilogy once I made “Tracking Rabid” last year. The week I knew I was going to Anthro New England, I started writing a script-no way I was going to pass up the opportunity to film at another great furry con and I feel like IF this is the last Leonard movie, I wanted to make it as epic as possible, so all that stuff at the hotel area were the first scenes filmed. That stuff was a lot of fun and I got amazing footage of all the cool stuff that went on, the hotel room fight was quite hard-being that my dad and I were the only two filming the entire scene, but we pulled it off. There’s a great hotel fight scene I was trying to pay homage to, it’s in the underrated action movie called “Haywire”, that’s why there’s no music and the scene is moved by sound effects and the immediate action on screen. The rest of the story wasn’t really inspired by any movie, I used plot devices that I had come up with while writing the Leonard short stories, the issue with filming Leo inside my house is that it is SO hot, but other than that-those scenes are rather simple. I was able to get Katherine Martin to film a scene of Leo smoking, the entire movie was rather tedious since I had to over dub all of Leonard’s dialogue pretty much, adding gunshots to takes a while. I hope you enjoy this movie, I had a blast making another Leonard movie, I feel like it’s a good send off if it’s the finale. October 10, 2015 Films, Leonard SeriesCrime, Detective, Equus21, Eric the Red, Furries, Furry, Joan Winterkorn, Katherine Martin, Leonard Series, Short Film, ThrillerAaron B. This is the result of about a week and a half of filming and a week more of editing. This movie I feel not only represents my fursona, Leonard-but I also hope this is a good nod to the furry fandom. The furry fandom is filled with art and music-but not many movies. I think anthro animals in our world would make a GREAT first step to make a cool movie, and I know there’s a lot more that you could do with it. 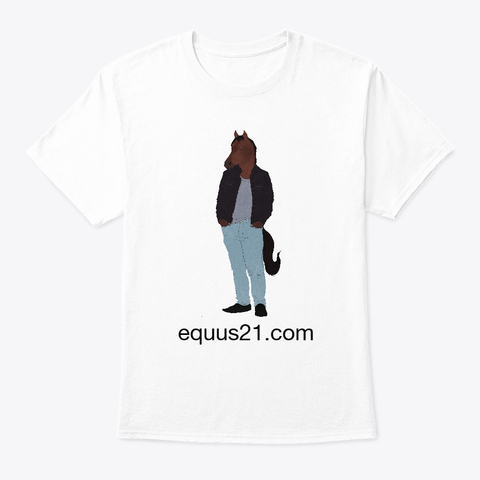 October 7, 2015 Leonard SeriesAnthro, Anthropamorphic, Coming Soon, Detective, Equus21, Equus21 Leonard, Furries, Furry, Scary, Short Film, Thriller, TrailerAaron B.
February 9, 2015 FilmsBlog Post, Detective, Equus21, FBI, Murder, shortfilmAaron B.
PLOT-After the gruesome death of a young girl-a detective is thrown into depression. However-his ‘second case’ may prove that he is capable of so much more than he thought as he battles a dark and twisted force…. I wanted the audience to feel really connected to both the detective and the missing person, played brilliantly by my cousin by the way! I also felt that the ‘look’ of my camera wasn’t quite right, it gave off kind of a ‘bright’ look-which this film is FAR from bright. So, I took the liberty of toning down the saturation and exposure in the editing-and I REALLY do like the look for this movie-it looks bleak, muted-so if you find it a bit more ‘shadowy’ than my previous movies, it’s intentional. I truly enjoyed playing a detective it felt cool, I also loved acting alongside my dad-who gave a very over the top, but scary performance-and really, again- I give props to my cousin, he’s never played a character like this before, he’s always the ‘even headed’ character-but for this, he needed to play someone who is traumatized and scared-and he did it with no hesitation. Oh, and I think as far as the climax goes-it is the best ending to any of my films ever. I hope you enjoy this film and please spread it to all your friends!